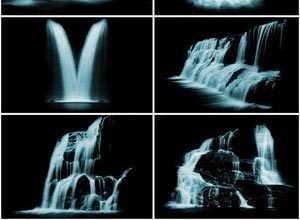 Free Waterfalls Photoshop Brushes Sets | 30+ ABR | Waterfall Brushes | Free Waterfalls Brushes. For this tutorial, we’re going to use some advanced brush techniques to paint in a waterfall onto a mountain background. .